Our spring-loaded base trolley ensures no unnecessary strain is put on the back. The constant loading and unloading height allows loads to be removed or stacked ergonomically. The items are also less likely to suffer accidental damage as they are loaded and removed. The Gmöhling spring-loaded base trolley allows non-tiring, rapid and efficient work and guards against straining the back due to incorrect posture, leading to back and spine problems. The spring tension can also be quite simply and easily adjusted to meet your needs. 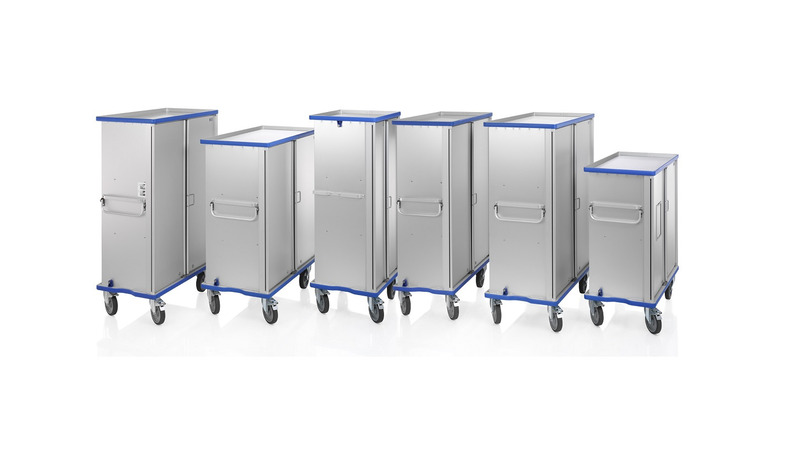 The Gmöhling spring-loaded base trolley is an indispensable addition in hospital and laundry logistics, old people&apos;s homes, libraries, the automotive industry, etc. as well as in intralogistics.